For over two years now, ultra-popular dating app, Tinder, has been making headlines. Whether it's some new controversy, or just a commentary of the state of the new app dating phenomenon, it's fair to say that Tinder has captured a ton of attention, especially in Western countries. But you know what the funny thing is? It's actually 'only' the second most popular dating app out there. Enter Badoo, a London-based company that launched its service some 10 years ago in 2006. 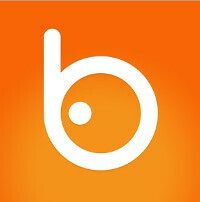 Back then, Badoo was a site, but it has had a near identical app available for smartphones for some time now. And according to data by app analytics company App Annie, Badoo is actually ahead in terms of popularity—at least on the macro scale. Indeed, out of 50 sampled countries, Badoo was the most popular dating app in 21, while Tinder follows closely with 18. The remaining 11 countries had a different favorite—like Lovoo in Germany, Switzerland, and Austria, or Frim in Russia. Interestingly, as far as the Western world is concerned, Tinder is the top dog, with North American and Western European countries preferring swipey Tinder. In Latin America and Eastern Europe, however, Badoo is where it's at. Having used Badoo ourselves, we can attest to its legitimacy. While we've often heard complaints of bot infestation within the app, we've found that most of the people we've had the opportunity to interact with are other human beings. Given Badoo's seniority in the field, and the fact that Tinder is already not far behind at all, Tinder may soon come out on top as the ultimate dating app. Sure, remote regions (relatively speaking) like South East Asia and Africa are likely to go for local alternatives that better fit the culture, but it seems likely that the swipe-left-for-no-right-for-yes dating app is destined to sit on the throne. Cause people, like myself use tinder as a game I literally created a tinder profile just to swipe right or left for hot or not lol. My country is listed under badoo, but i don't kniw anyone using it or even talking about it. Ill try it later. Same with my country and there is no way that this is true. I know alot of people who use tinder and like 1 person who used badoo once. Badoo... In the US, and probably other nations, Badoo was first known as the website Hot or Not. Not sure if they just changed their name on their own or were bought by another company, but it's Hot or Not. It is a very common phenomenon these days that People trust websites and rely on them to find their perfect match and true love however the lesser know fact is the way in which these sites make money out of these innocent victims. Let me help you get a clarity on these facts and how you are robbed of your own identity by allowing these sites to use your Pictures. I am an ex-employee of an agency based in India that works for “LOVOO GMBH”. Aka “Lovoo dating” or “LOVOO - People like you.Since the past 6 months I and my colleagues worked for this agency based in Surat, Gujarat, India. There is no other project that we work on. Our job is to check and verify images uploaded by the users of Lovoo for any possible stock images( images available on Google or internet in general ) or so.WHAT THE PROCESS IS AND HOW IT WORKS Having said this, it is from the past few months that we noticed that Lovoo has compromised on its standards of verification and has created a different segment on its site to permit stock or so to say stolen images on its websites under the name of NON-PROFILE images that come to us as FEED images. There are 2 sections under which the new pictures come for verification. I.E. PROFILE AND FEED. There was a time when these images were not allowed at all and were deleted or marked as stolen.When we work on Profile we only get pictures uploaded as profile however in FEED everything is approved ( as stated earlier ).How this effects the user of LOVOO: • Any person interested in chatting of being friends with another person actually does not see the real picture of he/she however in most likely cases sees a stock image. This is mostly the case as spammers do not upload their images and use FEED mostly. • A person may fall prey to some spammer by seeing his or her picture which in fact is nothing but a stolen image of someone else as that is no longer being tagged as stolen or deleted since it comes as FEED picture. • The only tool that Lovoo has permitted or prefers to be used by agency is ‘Search by image’ and that is not precise as even a little bit of editing on any stock image will not reap any results in ‘search by image’. • Our PC’s are rented through an agency and these PC’s run down frequently. So in a case when our PC’s go for repairs, so does the data and images too and there is a very high chance of user images going out of office premise frequently. • The backend site URL works on mobile phones and when we need an emergency off we are asked to work from home or internet cafe’s to achieve productivity and fulfill targets as our competitor agency is a bigger team and we cannot fall back. QUALITY CHECK: There is no Quality check as such from our agency QSS whatsoever. There is a weekly dump file created and maintained which has random and imaginative data with errors so that if Lovoo wants, this file can be sent. QC From Lovoo Side There is a set guideline according to which images or uploaded pictures in other words need to be checked. Now Lovoo does a QC on and off once in a while and sometimes on quarterly basis as they are short of QC staff. There is no stated timeframe as such for this QC check. Now a trained agent usually achieves 12000+ count on a daily basis with atlest 5% error rate so if you look at it in numbers it is a minimum of 600 errors. These can be any errors right from stock images to restricted photos. Thats how the verification is done. There is one more aspect in verification PROCESS Whenever a user of Lovoo uploads his picture with a code verification he is entitled to get free credits and he can then chat with any one. Also another major privilege he gets is that his profile shows as ‘VERIFIED’ in other words, TRUSTED. These types of users are usually the one’s whose friendship and chat requests are preferred more. Now if someone gets verified wrongly then that person stands the chance to misuse most of the other users data, photos and chat logs. Contract POINTS According to the contract an agency has to be careful with the below mentioned points as they are the most critical aspects. However in this case LOVOO takes least responsibility as long as their work is done. They do not have any parameters for data security whatsoever. Below mentions are some key aspects of the contract points. THE AGENCY WILL NOT KEEP ANY FILES LOCALLY - LOVOO WILL HAVE COMPLETE ACCESS TO THE AGENCY DATABASE - THE CONTRACTOR WILL NOTIFY THE COMPANY ABOUT ANY DATA BREACH OR DATA STORAGE - THE CONTRACTOR WILL TRAIN AND FAMILIARIZE IT'S EMPLOYEES WITH DATA SECRECY. Now the above mentioned points are from a document signed between our agency and Lovoo however adherence to these points is ZERO. THESE ARE BASIC ASPECTS THAT NEED TO BE ADHERED TO AS PER GERMAN GOVERNMENT LAWS WHICH LOVOO AND ITS AGENCY QSS FAIL ON DRASTICALLY. THERE is absolutely no DATA Protection whatsoever. Secondly there are many agents of our agency who have left and gone some place else however our Ops Head and CEO does not inform LOVOO of any such resignations and just continues using the Ex-employees ID and hand it over to someone else. This is merely for the fact that Lovoo may deem our agency unstable and stop working with us. Also there is a clause in this LEGAL doc that states that we cannot have copies of any such pictures however we have a stock of over 80000 + picture of actual users and thousands of spammer or stock images. For obvious reasons I cannot share all of them here. These images can be used as profile images for anyone on any social media site and can be misused in the worst possible manner. We have recently worked on over half a million profile pictures as it was Christmas and new year time. Our agency saved a whole lot of new images and were sold off at a very high rate to buyers from various agencies who use these pictures for various reasons. There are a lot of genuine users and these are most prone to being misused by spammers as actual pictures are hard to find on the internet. Also there are candid moments of people sharing things and fun with their family and kids in specific that they share here. Not knowing the misuse that happens after they upload such pics. There are sites and agencies that buy such pictures and lure Back-office staff employee to give other relevant details so that it can be misused. By the way we also get the names and ages of the users that we verify. So in all we get the NAME, AGE, LOCATION and PICTURE. The most vital details for anyone. This dating site is not as safeguarded or privacy based as a FACEBOOK or GOOGLE PLUS. THIS site has outsourced its backoffice process to an agency that works for $400 to $600 per agent and these agents actually get INR 8000 to 10000 which makes them easy targets to sell this sensitive data to the right bidder. The profit for the agency management is not in working for Lovoo but the real icing on the cake is selling these images and the revenue that generates with that sale. For the simple fact that their monthly wages are close to $150 -$200 and the rest is agency profit so for them an extra added income is the best source to cover up when they have these kind of projects. A company that buys such data gets the picture, name, age and Location of the person so its a complete package for them. Thats where the privacy clause of Lovoo and the one they make to its users goes for a toss. When we escalated these issues to our management, we were told to mind our business hence we decided to hand over these details to media and news agencies across Europe and America so that innocent users of this site can be safeguarded from spammers and misuse of their personal photos and pics could be stopped. THIS BLOG IS FOR USERS OF LOVOO To know how vulnerable their details and Pictures are. We hope that they understand the aftermath of an identity theft and the impact of sensitive pictures being misused. The claims that Mr.Benjamin Bak made in an interview last year ( gruenderszene.de/allgemein/benjamin-bak-lovoo-inte​rview-2015 ) that they have a fake profile prevention team is nothing but a farce and that team he refers to is actually the one here in India. This team infact is the root cause of a big scam that's coming very soon.